Posted May 7, 2015 by Norburn Lighting and Bath Centre & filed under Sales and Promotions . 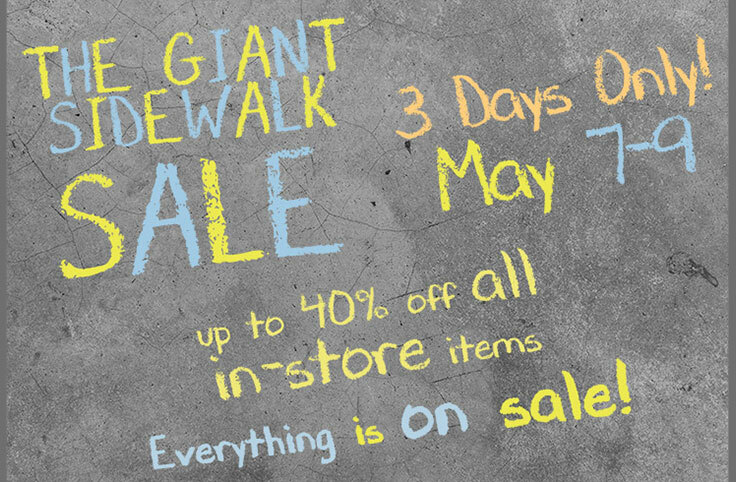 Norburn Lighting and Bath’s annual Sidewalk Sale starts this Thursday – 3 days only May 7th – 9th Save up 40% OFF – all in-store items including kitchen and bath fixture, sinks and toilets, chandeliers, table lamps, floor lamps, wall sconces, landscape lighting, fans and more. Shop early – Don’t miss it.